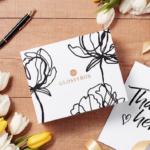 We have full spoilers for the March 2019 NewBeauty TestTube Box! What do you think of the NewBeauty TestTube spoilers? If you are interested in signing up for New Beauty Test Tube, it is $29.95 a box plus $8.95 shipping. Ships every other month. I’ve been with them for a few months now, and typically they charge in the middle of the month. They ship at the end of the first 2 months. For example, this is the February/March box and we’ll get our boxes either by the end of this upcoming week, or the beginning of next. The same will happen again in April, they’re an early box, which I love. I just got my shipping email. Awesome ! I got my shipping notice. Very excited. I got my shipping notice too! My first box! Very excited! I just got mine today and I’m still impressed! (I joined for the Jan/Feb box! So look for yours soon if you haven’t already received. I was finally able to log in, but the site doesn’t have my sub info, weird. I received mine today. Happy with the items in the box. I’m already a member and received an email to update my password on their new site, but the site isn’t working well, I think I finally got my password updated but when trying to update my credit card info it’s not allowing me to do so. My prior credit card info is expired so now I’m afraid I won’t get the March box since they can’t bill me and can’t get the site to work to update it, arrrggg. Anyone else having issues? I got signed up & I’m excited! The site seems to have issues on mobile, but if you know how to change to desktop view, that seems to work, or on an actual computer. Worst customer service ever! I have a subscription for myself and I purchased one for my mother. One of the items in one of the Report boxes was missing. There was not a Replenix Neckletage in the box that shipped to: *********** When this box arrived without the Replenix Neckletage, I telephoned New Beauty and was advised that you would ship another one out. You never did. Also, the Eu2Be that was in both boxes was RANCID. It smelled rotten and were not useable at all. We threw both of them away. I love this company. I had something that smashed one time in shipping and the customer service replaced the whole test tube very quickly. This is the only time something went wrong in the many years I have received their products. Sorry things went wrong for you. I know something like that can be frustrating but I hope that doesn’t keep you from getting the test tube in the future. The magazine is 13plus dollars in the store so if something is smashed or missing I’m still getting a deal. Although something should have been offered to you for replacement of missing items. For once, I signed up in time yesterday. Very excited. I can’t login. The login screen doesn’t render properly on my phone either. I tried forgot password hoping it would update my account, but it doesn’t recognize my email or just isn’t working at all. Hello Susan, We are very sorry this has happened to you. Please go ahead and send us an email and address is to Alyssa so we may go ahead and resolve this issue for you as soon as possible if we haven’t done so already. We apologize for any inconvenience and appreciate your patience! It’s Tuesday, February 19, and if their computer is still down then it has been down since at least last Thursday when I first called. There is a pattern here with many of us promised phone calls which are never returned and no way to access our accounts. Most businesses that replace or “redo” their computer systems are down for less than a day and do it overnight on a weekend so as not to inconvenience customers. NBTT is not doing well! Same thing happened to me. It doesn’t let me log in, and forgot password does not work. Hey Jacki, We apologize for this issue. Please send us an email & address it to Alyssa including your full name and email address and we will get this issue resolved as soon as possible. It’s so weird cuz I went to the site to change my password because the email said to (even tho I’m brand new) and I can only see the site in landscape mode on my phone! It’s so awkward and cumbersome, really. Is it like this always? Or maybe just because of the updates? Same here. Tried to chat and no one is there. I did have an account but I don’t know if I have one or not now. Does anyone even work there? I have subbed to TestTube for a few years now, on and off and each time I make an account, but have never been able to actually log in. I’m guessing you can’t? I do know though, that it is easy to cancel with a quick phone call or email, though email will take a bit longer. I am not sure what happened to my account either. I cannot sign in. So about 2 weeks ago, I chatted with Steve and he informed me that as long as i did not cancel, that i would receive the march box. Today though, I needed some reassurance and i was lucky enough to chat with Alyssa. she told me that they have not yet processed payment for existing subs and that it will be taking place sometime this week which is ending soon. I hope it happens. I have been having the same problem, and they wrote me back VERY quickly to let me know that they’re migrating customer information and we should be able to sign in soon. It further explained that details on exactly how to login when it’s all complete. I can’t log in either, even after I received a temporary password, and I need to change my mailing address. I had that problem and since I had never logged into it on my computer I was able to do that. Sometimes it’s the most obvious reasons we forget to do. Did you clear your cache and your cookies and then try logging in again? You could also do what I did if it applies and try your computer or laptop. I’m just trying to help and they’re just suggestions. Also, email them ladies calling actually doesn’t tend to get as quick of a response. One last thing, when you finally do get in you’re unlikely to see any account info. I emailed at 3am this morning and they got back to me to explain all of this. Hope it helps!! I signed up this morning with no problem using my debit card (I use it for all purchases). My confirmation e-mail came to my spam box. Hey Linda! Super EXCITED! We know you’ll love your March Tube!! For future reference we recommend you add [email protected] to your email contacts to ensure it does not go to your spam/junk folder. I’m probably the only one that is excited to get the grande lips but I love their lip products so much! The last one I got was in a different color from the one that will be in this box but it quickly became my go-to and I just ran out so fingers crossed that I’ll like this sugar plum color! I’ve actually never been disappointed with one single testube box and I’ve been getting them for years and years plus the lil magazine included i actually read the whole thing! Hey Missy! We’re glad to have you as a TestTube Subscriber, We are excited for you to try the Grande Lips in a new color, we know you’ll love it! If I sign up now, which box would I be receiving? Their website shows the March tube (this one) is the one you’ll get; they confirmed in a comment a few days ago, too. I guess I’m in the minority too but I really like the Grande lips. My favorite has been the clear gloss because I am super picky about lip colors. I love the way it smells and has just enough “tingle” to make my lips appear full. The sugar plum color looks like it will work for me. I can’t wait for this Tube. I was a subscriber for MANY years and I just started getting lots of repeat items, so I cancelled last September. I’m tempted to sign back up, but even still I would end up with another Grande Gloss. I probably will sign up for this box because of the SR and AP; however, I won’t do an Annual because I’m scared of getting stuck in that same repeat cycle. Hello Tabby, We’re sorry to hear you had canceled your TestTube Subscription. We do have our Bi-Monthly option other than Annual in which you can cancel at any point by phone or email. Love the TestTube! I discovered some of my holy grail products in past TestTube boxes. I wish they would offer customizations, I have so many Grande Lips already. I love their customer service too, I had an issue with my box (They sent two same items and missed one). They promptly offered to re-ship the item. I find their customer service to be the worst of any I have experienced. They NEVER do what they say they are going to do when there is an issue with a box, nor do they return emails. Just this and my allure! And Im done! I dont need any other subscription!!!! And yet we live in sane universe!!! Next life I am there. I keep checking to see if it is sold out.. so far, so good. 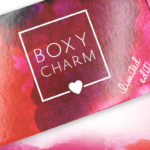 I feel this is a good box to add to my sub list… it’s bimonthly and it looks like I’d be getting to try some new products and I love the variety… even it is not available on Saturday, I can get it in May..so all good. I don’t know how I even discovered MSA….but what a beauty blessing… I’m in and that’s all there is to that. Hi, how does test tube box work is it every month or it skips months? It is every other month. Hello Teresa, TestTube is a Bi-monthly Subscription which ships every two months or Six times a year with our Annual subscription. I ordered this at 9:30am, and I still haven’t gotten a confirmation email. I’m not sure if I should be concerned or not. Check your SPAM folder and it’s probably in there. That’s where mine was hiding. Enjoy the Tube Ladies! Nope…nothing in my spam either. I’m hoping it was just because of their website upgrades…or website overloads. Lol. Hello LB, We apologize for the error. Please send us an email and address it to Alyssa, Also if you may include your full name and email address. We will make sure to get this resolved as soon as possible. I had to get my Welcome and comfirmation email out of my spam folders. Thanks ladies! I should have added this to the original comment, I have already searched my spam folder, and nada. I’ll have to ask DH if it actually went through that account. I’ll keep checking. FYI – I did the chat feature on the website and they were able to confirm my order using my last name and zip code. They also resent out the confirmation email…and I got it this time. So if you are worried, try the chat feature or send an email! Check your spam ladies because that’s where I found mine. The confirmation and another one welcoming me to test tube. Nothing was in spam or my regular inbox. I chatted with CS this morning and they resent out the confirmation email and I immediately received it that time. Hello Aarjullor, We are very sorry to hear about this, please send us an email and address it to Alyssa, Please include your full name and email address. We will make sure to get this resolved as soon as possible. Does any one know what is the latest date to sign up in order to get the March tube? I’m soooo tempted by the full-sized SR, but would like to try the sample I got in Allure first to see if it irritates my skin. Thanks! I just signed up! I love SR products. With the Customer Service comments to the posts on here I couldn’t resist. I should add the Grande Lips is $13.50 on their site right now. Still a great box. Thank you so much for the breakdown Anna! Does anyone know what exactly makes lips plumper? That concerns me a bit. Got mine yesterday. That full-size Sunday Riley A+ alone is more than worth the price. Another great tube. I just got a reply from them about switching to an annual subscription. This will be my 3rd tube and I have consistently been impressed with the quality. OHHH!!!! They do NOT take Debit Cards or PayPal. We’ve eliminated all credit card debt and cards and I don’t use credit cards any longer. I called, they asked why I didn’t have a CC and then said they’d call back. I don’t think they will. This is the ONLY time this has ever happened to me, and I’m wondering why they have this policy? I wasn’t buying a yearly sub, just the March box. Mine is paid for by a debit card. We haven’t used a credit card for years, so there’s no way I’m mistaken. If I paid for it, it was a debit card. I use Paypal for some things, but mostly debit. I signed up in September. Mine’s still not accepted by this one company. I have absolutely no idea why not. I called and was told ” We are having a system update and it will be 2-3 days before someone can call you back”. YIKES. This is scary to me. My balance is high 3 figures… my OD protection, which I never use, is a lot more than their sub box. I just don’t understand. I’m thinking they have some issues. Is your debit card Visa or MasterCard? If so, it’ll work. Lily, I have this issue sometimes and its because I bank through a credit union and a lot of out of state online purchases are declined due to some banks fraud alerts. I bet if you call your bank and tell them what you are trying to purchase, they will allow the payment to process. I have to do this with my credit union fairly often, but it’s better than having fraudulent purchases on my card 🙂 give it a try! The web site said my order is confirmed. Did you try just putting in your debit card as a credit card? That’s what I did. My debit card payment went through without any issues. Lily, you can use a debit card online and it will process the same as a credit card. I use my debit card for a majority of online purchases. You can definitely run your debit card through as a credit card. I have paid for mine that way with them before. This is my favorite sub. along with Look Fantastic and Glossybox. I am never disappointed. Of course, this is the ONE that posts. I’ve typed out really long comments about 6 times now. I give up. I did order this box though and I’m very excited for it. I know. Happens to me sometimes, very annoying. I also want MSA to reopen the forum, much easier for commenting that way. Um, I see your comments. Maybe give them a few minutes to post. Oooohhh, hi New Beauty Test Tube, how are ya? 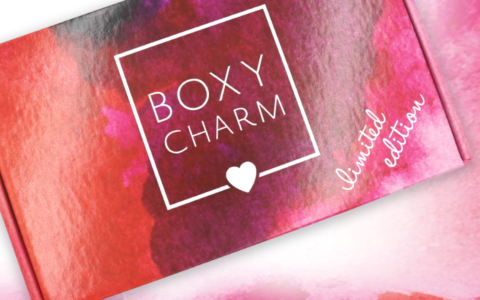 Just dropped Boxycharm and Boxyluxe, excited to give this sub a try. Hahaha your comment made me laugh. Clearly another Jeffree Star fan, as am I 😉 Ohhhhh hey full sized A+ serum, how are ya!?!? Hey Victoria! Doing fabulous! Thank you very much, we are excited for you to try it, we know you will love it! Do we know if we get a full sized bottle of SR serum? Wow, such a great box! I adore Sunday Riley, the Luna oil and good Genes are part of my nightly ritual. When the A+ serum came in my allure box I instantly fell in love and planned on purchasing the full size. So I went ahead and signed up for this bc it’s essentially half off an expensive product I already planned to buy, with a bunch of other awesome goodies!!! For all the folks out there on the fence about Sunday Riley products, yes, they have a very earthy scent to them (not rancid, just earthy bc there isnt unnecessary fragrance added to it, which I prefer due to sensitive skin) but I assure you, the products WORK and the hype is real. Wow, what a great box! I adore Sunday Riley, the Luna oil and good Genes are part of my nightly ritual. When the A+ serum came in my allure box I instantly fell in love and planned on purchasing the full size. So I went ahead and signed up for this bc it’s essentially half off an expensive product I already planned to buy, with a bunch of other awesome goodies!!! I’ve been subbed to this box for a couple of years now and am having a terrible time getting my Jan/Feb box. I was sent a tracking number in mid-Dec and never received the box; then I emailed and they sent me an older box that I already received. Now my emails go unanswered, and when I am lucky enough to get someone on the phone, they say they have a new system and can’t access my info. They promise to have someone reach back out – which never happens. I’ve called and spoken to 4 different cs reps with no results. If nothing is resolved after today’s call, I will simply cancel them. No subscription is worth having to spend this much time chasing down. OMG, this is what they did years ago. I actually had a phone call from Mr. Sandow, who owns or did own the company. I didn’t get my tubes, my tubes had a much lower value than other people’s ( when it was a mystery curation tube). I wrote and wrote and was doing a chargeback when the owner called me and was really questioning me. I ended up with a free TT but it was intimidating, like I shouldn’t be questioning the huge value difference between tubes/ customers AT ALL. WE REALLY NEED A REAL TIME PASSWORD PROTECTED CHAT OPTION ON THIS SITE, YA KNOW? Hello Cyndi! We are very sorry to hear about this, please send us an email and address it to Steve, please include your full name and email address. We will make sure to get this resolved as soon as possible. Thanks for your response. I have just sent an email; hopefully, this will be resolved. I agree, wow!! Awesome customer service!! And an awesome box, this will be my 3rd and they never disappoint!! I just wanted to come back to say that everything has been perfectly resolved by Steve. Thank you for your excellent customer service! Are we CERTAIN they will ship the March tube as the first shipment? I just had live chat with their CS to ask if there were any discount codes or anything for the first box ( No, there aren’t) and she said ” The tube is worth $150″ which doesn’t line up at all with the value posted here. They kind of hung up on me when I then asked if there was a substitute product available for the Grande Lips. The last thing an AARP member wants is dry looking lips. Plus they used to have substitutions like crazy. Since I was left hanging after the second question, I was afraid to ask if the box shipped is March but there’s a huge value difference in what CS said and what’s in this review. Lily, the $150+ is the guaranteed value for any tube. So I suspect your CS agent was just quoting that more general line. This one shows $260 here and on NBTT’s site. I can’t say whether you’ll get the Jan/Feb tube if you sign up now. BUT their web site shows Jan/Feb as sold out. I expect to receive my March tube before the end of February, since I received my January tube before Christmas (no guarantee, that’s just what I’ve experienced the past few months). When I signed up online today it said a few times my first tube would be March. Hello! if you signed up today, you will receive the March Testtube box! Which ships out the First week of March! Hope you love it! Hi New Beauty Test Tube, do we get charged on Feb 15th for the March box? anyone has a promo code? I’m thinking about going for a year and getting one box/ tube free. YEARS ago, like over 5 years ago, when the test tubes were pink and they shipped just the tube, not in an outer box ( which was cool) they put a ton of different things in almost everyone’s tube. HUGE VALUE difference from one person to another. I’m coming back because there doesn’t appear to be a “more value” or ” less value” kind of thing going on now, and because I dropped Boxy, Boxy Luxe, 3 bath boxes, a few others last month, whew. Interesting, I’m not aware of any variations across the tubes over the past 4. They just rolled out a new web site, and I noticed the annual option, too. I don’t think they offered the annual when I signed up around September. I’m thinking about going for it, too, the value and products have been incredible so I don’t see myself cancelling. Also, on the March 22 date you mention below – that’s the quarterly free magazine that you get with your sub. Scroll down and you’ll see that March tube ships the first week of March. Although like I said, mine has shipped a couple weeks earlier these past few months. Oooh, I’d be curious how to sub on an annual basis. That was what I originally wanted to do when I re-subbed, but I didn’t see the option. The option is there for me on the Subscription page. Are you in the USA and do you use a CC? They won’t allow debit cards, I just found out. Heartbroken and definitely feel less than worthy. Answering myself here. According to the FAQs, the Spring box ships on March 22. Still not happy with Grande Lips though!! Hello, to clarify that is the date the magazine ships out. The Testtube itself ships the first week of March. I signed up after seeing the Jan/Feb review and just got my box. I’m enjoying the Perricone vitamin C (it smells and feels so nice). I can’t wait to get my next box and it looks like I will be able to try Sunday Riley retinol more than two times unlike the micro sample from Allure. Just subscribed!! Super excited for my first tube! You are not alone. While I do love the new face oil from her line, I have not seen maxing results from any of her other products either but I keep using them hoping. I’ve actualky seen better results from Laniege and have become a die hard Laniege fanatic. I just recently found out that their parent company is Amore Pacific but the price point is so much lower . Give them a try! That being said you usually see the peak of your results from retinold after about nine months. That’s based on all the research I’ve done and my own personal use history. However I did also see immediate results. But I also layer and alternate mine with both Rx retinol and SR retinol. I second Curology — it’s a prescription retinoid, so a completely different level than anything you can buy over the counter, and I’ve been very happy with their service. Courtney, I was also not a huge fan of Sunday Riley but the CEO oil seems to be working for me and I have oily, acne-prone skin. My Curology just recently went from a non-retinol (azelaic acid, clindamycin, niacinamide) to one with very low dose of retinol. I have no problems laying the CEO oil on top. This is going to be my third tube and I love this subscription. They are getting better and better. I love how much variety of product they have and they have unknown and well known brands. March will be my third as well! LOVE LOVE LOVING it so far. Would love some kind of promotion for an annual sub, would do it in a heartbeat! Amazeballs. Best box of 2019 so far! The amorepacific is $200 on its own SR is $85 what. Wish I didn’t just buy fff last night. I wanted in on the add on sale and am now unimpressed. They give full size prices, but some items are travel sized. Amorepacific is in travel size, so not $200. It’s deceiving and I almost placed an order without opening the item and seeing the note about different size. They did say the total RV for the box is $260, so it’s hardly deceiving. Those links to purchase the full-sized products are a bit confusing. I think they try to use asterisks and text to try to reinforce that some are travel sized items, but I can understand why you might feel deceived. It’s not deceiving if it’s clearly written on the list of contents. When I checked the website this morning (I went through the link on Google), the way they showed contents was separate item photos with price (full size price) underneath. Unless I clicked on each single photo, it didn’t tell the actual size. So if I went and subscribed right then, I wouldn’t know the true sizes until I received the box, because the contents weren’t listed when going for “subscribe now”. I think it is a bit deceiving. And this happens with other subscriptions too. If they previously presented it as you said, then I agree. There’s no reason not to disclose what is full sized and what is not when advertising specific contents for a box. I love NB TestTube. It is a great sub! Looks like another great box! I’ll be gifting or selling the shower gel because I just don’t like shower gels and the Grande lip product too, as I already have 7 of them! TestTube has always been one of my favorites, along with BeautyFix, but since they rebranded, they have the #1 spot! I un-upgraded from Boxylux and didn’t do Beautyfix, so this is an A+ from me. I can’t wait to get this, I love the SR from allure so this is perfect. I’m contemplating a second one. I like nearly everything in this box (tube). Does anyone see on their new website how to sign into your account or do we need to call/email? Hi Jill – me too – I used their chat format and was told it should have been automatic but it wasn’t…. told to check spam, I had…… nothing….. I would be more comfortable having an account I can log into and “manage”….. they said they would resend an email within 24-48 hours as they are “currently in migration” and cannot immediately…. I subscribed on Jan 23rd to get last month’s tube. No email or nothing about shipping. So I called on 5th Feb. I was told it will take three weeks to get my tube and I will receive an email with tracking. Then on 8th Feb, i opened my mailbox and viola! There was the tube! Yes, having no access to my account gives me an uncomfortable feeling. Maybe Liz can reach out to them? I just subscribed and received a welcome email with username and temporary password. It was in my spam folder. I’m excited for this one, I usually catch the reviews and totally want the box, but by that time it is not available. I need to change my payment information before they bill me for this next tube, so I just called them and they said that they’re doing updates on their site today and tomorrow and by the end of tomorrow we should be able to login to our accounts. I was able to request a password and access my account and I just signed up. The welcome email and order confirmation email were in my spam folder but I just added them to my address book so it won’t happen in the future. I just got off the phone with them and we should be able to log into our accounts today or tomorrow. They’re in the middle of updating things right now. Thank you so so much Anna P. For letting us all know, I’ll keep an eye out on the website! Hello Anna! Please send us an email and address it to Alyssa, please include your full name and email address so we may be able to assist you further. So sorry about the confusion! Does this sub sell out ever? I’m not sure I want to order it right now, as I still have some stuff to get through but I’d be interested in it a little later in the month, or even next month. No, it never sells out. Or at least, not that I’ve ever seen. It might be best to not wait too long though because of their cutoff. I don’t know when their cutoff is, but I re-subbed in either late January or early February, and my first box is going to be March’s box. I recently re-subbed to Test Tube after having taken a year long break, and I couldn’t be happier to have this be my first box! I’ve only tried the SR A+ once (I plan to use it only once per week since I typically don’t use products like it), and I really liked it. I know it sounds silly, but I swear I saw results the next day. Maybe my skin reacted quickly to it since I don’t use those types of products? Everything else looks great too (besides the Grand Lips which always gets gifted)! Actually, I read somewhere that retinol *is* supposed to have an effect on your skin right away, and not after weeks or months of use like other skincare actives. I thought I saw somewhere that some people see a difference in minutes. I do believe I’ve seen a difference in days….but I’m talking more about my breakouts getting under control and better skin texture overall. Perhaps you might be interested, I recently got the Clinique Turnaround Revitalizing Serum and thought it was remarkably fast-acting for such a gentle product. I did see a difference within the first few days. I am also liking the Repairwear Laser Focus I added to my routine last week. I hear you!!! That’s what pulling at me. Giving myself until Saturday to purchase if it is available .. ..until this I was going to get the Avene Retinol which I love. But this box has more. I can use at a lower price point. I organized last night and actually need a retinol and am low on serums so I can feel good about this purchase. Is the amore full size or travel? Bc on the site it shows full size?! OK, so my comment didn’t post, so I’ll try again. My first SR item was the Ceramic Slip Cleanser and the smell was so off-putting, I couldn’t use it at all. The second was the CEO serum in the orange bottle which made me have a total breakout (and I don’t ever usually break out). Am I the only one not the SR train? Yay, it posted.. and the cleanser was my first item, not the CEO serum. I want to love SR like others. I wonder if I’m just sensitive to this brand somehow? I’ve not had any issues with CEO that I didn’t have with any other vitamin c including PTR and Skinceuticals and that was purging that passed quickly. I’m always hoping I’ll try a new Sunday Riley item and dislike it because they all work well for me. I’ve had the exact opposite experience with Drunk Elephant wanted to love it and it broke me out every time. Oops! I guess I am(!) a passenger on the SR train! Lolz! No i’m not on the train either, for me it actually started with the martian toner and the INSANELY high amount of pure grain alcohol in it, (especially when a good toner shouldn’t have ANY alcohol) and as I was reading the ingredients I was watching a video and she was saying how she created the toner for her daughter…BAM HUGE RED FLAG! There is no way as a mother anyone would create such a harsh product for their own child’s skin. For some reason that instantly did it for me and I right away found the brand untrustworthy. I’ve always found the ingredients sketchy, like artificial dyes and fragrances. And then out came Sunday Riley admitting to having employees fake positive reviews for them, and i realized why i had the untrustworthy feeling towards their products, it was for very good reason, I’m not against trying it in the future, I’m just very cautious and know to trust my own judgement and knowledge of the ingredients rather than reviews and hype. I have oily, acne-prone skin so I have to be careful. Some SR products work for me, some don’t. Luna and CEO did not work right off the bat. Good Genes purged my skin (good!) and seemed to be doing well but after a couple of months I noticed I continued to break out and get extra bumps/texture. I’ve been using the UFO oil and Martian toner and those don’t break me out but they haven’t been miracle products either. However, I’ve only been using the A+ I got in my Allure box for a couple of weeks (every other day rotated with an AHA/BHA) and I love it so far! So I jumped on this box….lol. Oh no…I couldn’t resist this box even though I’ve been trying to cut down on my subs. As far as SR, I’ve never understood the hype. I’ve tried the Martian toner, Luna oil, CE serum, ceramic slip cleanser and Good Genes. The only one I’ve learned to like is the Good Genes. I’m not sure why but the samples I tried in small tubes were so stinky but the Good Genes we got in the “Best of Dermstore” is a pleasant, lemon scent?? I totally agree with you on the smell difference. I bought a full size (before I realized it wasn’t really working well with my skin after all) and it smells like lemon too. I wonder if it has anything to do with the glass bottle versus plastic…or they just didn’t bother with the lemon scented additives for the smaller samples. LOL. They changed the formula. For the better imo. Oh good! I was wondering if they changed something because I couldn’t tolerate that awful smell. I even tried to use the old stuff on my teenage son and couldn’t take the stench. The new smell is sooo good! SR gives me tiny little white bumps (no other product does that😞), but the rest of this box looks great! I don’t think the CEO serum agreed with me either. I don’t have acne prone skin either and I feel like it did cause my skin to flare up with some bumps of varying degree. I can’t rule out that something else wasn’t the cause or contributed because I’m often adjusting my routine and trying new things. What was more disappointing to me is that I didn’t feel like it did anything for me and my skin tends to love/ responds positively to Vitamin C serums like the Cellex-C (we got that some time ago in a test tube). It glows and looks softer and smoother, fine lines are diminished. I didn’t notice a difference with the SR CEO serum. My husband doesn’t like how the Cellex-C smells, it has a kind of tinny aftersmell, so I don’t use it regularly. I want to find something that works that doesn’t have a lingering off scent, lol. In regards to this test tube, I wish the SR was the smaller one and some of the other high end “travel sizes” were larger. On the fence here. Is there a promo code?! When do we have to sign up by to get this box? I keep getting an error while trying to sign up. Guess they don’t want my money! The site was down when I tried to subscribe😭. Actually, my order finally just went through. Try again! Hello! we are so sorry! we are working on some technical issues. As far as ordering the Testtube box, you can do so now. Do I need to resubscribe with your new updates of I already receive NBTT? Test tube is my favorite box now (besides fff). They have really been killing it the last 6 months. I canceled beautyfix and I get two of these instead. The value is crazy good and I share what I don’t need with my daughter and friends. Can’t wait to see the spring edit box. Eek! I cancelled 1 of my 2 subs a couple of weeks ago and I knew I would regret it. I was just shopping for a deal on Luna oil last night but realized I still have the smaller A+ from Allure so I will use that instead. If I like it well enough I will reactivate my 2nd sub. Test tube is also my favorite! wait is the sunday riley full size?! It is. Check their site. It shows you all the sizes. The new site is great. Hey Kim! The Sunday Riley is a full size, enjoy!